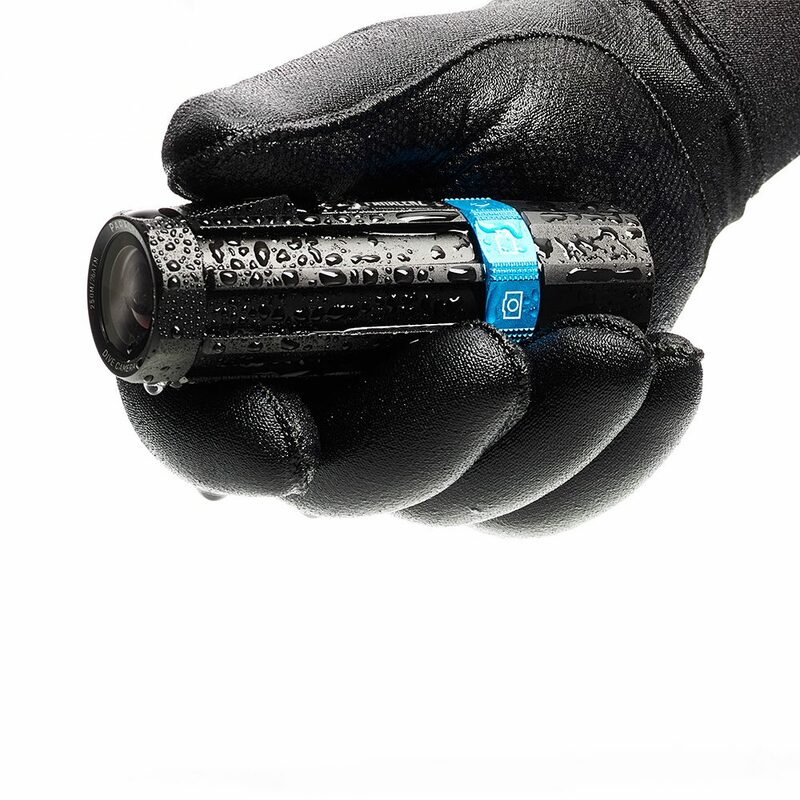 Since its launch in September 2017, the diminutive Cuban cigar shaped Paralenz HD video camera—an underwater camera made for divers, by divers—has captured the attention of the tech and freediving marketplaces. Rated to 820 ft/250 m, the camera offers a plethora of diver-friendly features, such as integrated depth and temperature recording, automatic depth-based color correction, depth-triggered controls and the ability to easily upload and store video and data via your smartphone. The camera is arguably to GoPro what tech diving is to recreational diving. 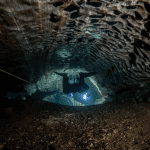 We caught up with some of the leadership team at Paralenz, which is based in Copenhagen, Denmark, at the recent Diving Equipment and Marketing Association (DEMA) tradeshow in Las Vegas to get their story. Here is what they had to say. The men behind the camera. Photo Courtesy of Paralenz. InDepth: What was your original motivation to develop the Paralenz camera? The company started in 2000, and we had been doing engineering and design work developing products for companies in a variety of industries. But then in 2015, Martin, one of our founders who is big in diving, said we should do a diving camera. We saw that there was a huge hole in the market. Underwater cameras were complicated and you could either get something cheap or something very expensive. But there was nothing made specifically for diving that really worked well. So that was our starting point. Obviously, GoPro was around. Did any of you say, “GoPro has already got a camera for that”? Michael Trøst (MT), co-founder and Chief Information Officer: The GoPro is not actually built for diving. It requires compromises to bring it underwater. You need a housing and have to push buttons. JDS: The water is very cold in Denmark and divers wear thick gloves. You try and fiddle with a GoPro with gloves. 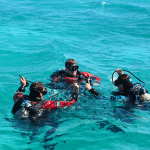 You maybe do it a couple of times and then you say, “Okay, it’s not really worth it.” So our starting point was making something that actually worked easily for divers. 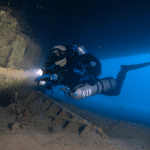 MT: It’s also the conditions we face in diving, the wear and tear on the equipment. Divers need rugged equipment. In addition, we wanted our camera to have specific features that were relevant to divers: depth and temperature recording, depth-activated controls, color correction, and make it easy to maintain. These things are specific to the diving industry, which needs a [purpose-built] product. You can’t easily do things like change filters or adjust the white balance with a camera in a housing. We also wanted to make it as easy as possible for a diver to record and share their dive. How did you go about developing the camera? JDS: Typically, we seek out the knowledge we need to make the right product. 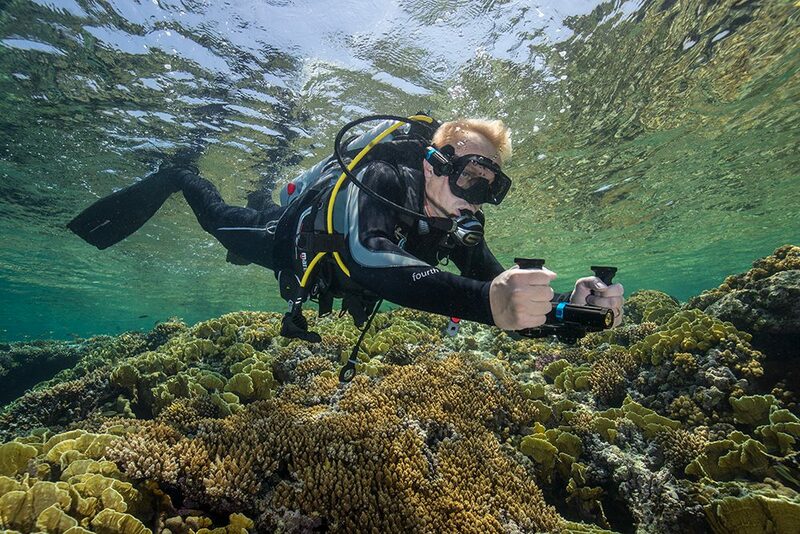 For Paralenz, we went on a lot of dive forums and made calls asking people, “If you were to buy a dive camera, what would be the most important features to base your choice on?” And they said, ease of use, simplicity, durability, battery life, photo quality. They listed out their priorities. We made our design choices accordingly. Then we made prototypes, and talked to dive shops and divers as well and then went on Kickstarter with it. We invited people to become part of a team of testers who would basically buy into being part of the camera’s development. We had more than 250 divers from 38 countries sign up, and we put them all in a Facebook group. So, every time we did something, we showed our testing group what we were doing and asked them what they thought. How different did the camera turn out as a result of the testing group? MT: Interestingly, all of the menus and stuff ended up being completely different from what we originally had planned. Our testers helped us with a lot of our design choices on items like sensor sizes, lenses, and stuff like that. All together we made about 30 changes from the original production units that we sent out to the testers, to the final unit. A very simple thing was the threading width; the first thing that the testers mentioned was that the threading was extremely thin. So that’s a very tangible example of how we listened to our testers. Even the auto-record function was something that a spear fisherman mentioned to us. He asked, “Is there a way to avoid the surface recordings so it will only start recording once I am underwater?” So you can now use a pressure sensor to turn on the camera at a pre-specified depth. JDS: We tested our first production runs as well. We built over 100 cameras and gave them to half of the testers and they used them and gave us feedback. We then made changes they suggested and built a second batch for the remaining testers. So how long did all that take? MT: It took us about eight or nine months of developing, testing, and feedback. That was 2016. We started production in February 2017, and opened up our webshop in September of that year. Our approach also had other benefits. We focused on the diving community, and in return they gave us loyalty. Our users know, okay, these guys only care about scuba diving and freediving just like we do. So, we share a love for diving from both ends. In contrast, other manufacturers, specifically the camera manufacturers if we’re talking bigger cameras, don’t really care that much about diving. That’s more the housing manufacturers. And if you’re talking smaller cameras, they’re building all-purpose cameras, so they aren’t dedicated solely to diving and therefore don’t create much loyalty. That’s one of the main things that’s really helped us. That’s likely one of the reasons that Paralenz has such a strong buzz in the market. Was there any thinking about divers gathering underwater video data to support a bigger environmental mission? MT: Very much so. We are passionate about the capabilities of collecting data with this camera, and we eventually hope to utilize all of our citizen scientists. In the current version [of the camera], the location is user dependent; the user has to enter it into the app. But in future versions, the camera will have a GPS in it and will log the diver’s position when they go down and again when they surface. With that we’ll be able to build a database with prescient live depth and temperature recordings from all over the world, and then generate a heat map with a depth scrollbar and basically be able to see the temperature movement and changes over time and at depth. That’s very exciting. If you could get detailed underwater temperature data from all these places, that would be powerful. JDS: We actually have the first prototype ready, along with the website that we’re going to launch. Divers will be able to upload the data directly from the app. It will upload the dive, save it, and export all the data to a database that’s roughly the equivalent of Google Earth, but with dive logs. That also means divers will be able to tag their logs, search for text, or search for images. For example, you could search for images of sharks at different times of the year and at various locations. You will be able to access a lot of information. In the not too distant future we might apply AI [artificial intelligence] and machine learning to search for occurences of individual species and or identify patterns. Organizations might be able to use your database and the content created by your users for research. JDS: Absolutely. The Paralenz app definitely opens up opportunities for community engagement. Not now, but in the future, an ocean conservation organization such as [GUE’s] Project Baseline or any organization that needs information about the conditions of a certain part of say, a reef, will be able to reach out to the community through push notifications. Let’s say an organization wants to survey the northern Great Barrier Reef. They could send a notification to any Paralenz users in that area and say, for example, “For the next month we are interested in getting footage from this area and temperature readings.” And then they will be able to gauge if it’s necessary to actually go out and do a full survey. They won’t have to engage that whole system before they actually know what the conditions are. Currently, we are talking to Greenland shark researchers about creating a bottom camera with a trigger to capture video of the sharks feeding at 656 ft/200 m. They have very, very little video of Greenland sharks. What will your focus be for the coming year? What are your goals? JDS: Right now, it’s making everything streamlined and getting to market, getting into dive shops, and getting the business going. MT: We’ll be working on firmware updates and the app, and also start working on our online platform, Paralenz World! We will keep developing that. There is also a macro lens that will be coming out this year. We’re not quite sure when this will be launched, but we are also talking about a battery pack to extend the battery time. We are also hoping to engage teaching organizations and offering research courses; for example, a course where you actually learn how to film properly, where to film, how to package it, how to upload it to the relevant database, and stuff like this. Have you looked at photogrammetry applications? That’s one of the areas that GUE has been focusing on for collecting data on shipwrecks and the like. JDS: There’s a number of people helping us from the GUE community. For example, John Kendall and Richard Walker have been extremely helpful as we look at applications in 3D photogrammetry and how to help develop cameras for that. We are also looking at 360-degree camera mounts. MT: We are very, very passionate about exploration, conservation, and education, which of course are part of GUE’s core values, as well as making great stuff! Making great stuff for passionate people? This is not a paid promotion for Paralenz. As a community, GUE/InDepth likes to support innovations in diving that help to improve our ability to explore and conserve the aquatic world.